People do not go to the emergency room or see their primary physician after a taxi accident for many reasons. Adrenaline could mask the pain. The person could believe his symptoms will go away or try to “tough it out.” Another common reason people do this is not realizing that they are injured because the symptoms do not materialize for days or longer after the accident. However, seeking prompt medical care is crucial to obtaining the settlement you deserve from the negligent taxi driver and the taxi company. Failing to document your injuries. One of the things you will need to prove is that the accident—and not some other incident—caused your injuries. If you do not seek medical care immediately, you could have difficulty showing the direct causal link between your crash and your injuries. It also gives the insurance adjuster an issue to argue about—something they are looking for to deny or delay your claim. Failing to discover potential injuries. Some injuries, such as neck, spinal and back injuries, traumatic brain damage, and internal bleeding, may not be apparent for days or longer when you begin to experience symptoms. Not seeing a doctor right away can result in your condition worsening or turning into a medical emergency. In addition, you could find it more challenging to prove that the crash was the cause of these hidden injuries. Giving insurance company arguments. Insurance adjusters look for any excuse to deny or delay your claim. Waiting too long to seek medical care just gives them ammunition to say that something else caused your injury—especially if you had a pre-existing injury to the same area of your body. Do You Have a Claim If You Waited to Obtain Medical Care? The good news is that failing to obtain medical treatment promptly will not ruin your claim for compensation. The Hart Law Firm has helped many accident victims who made this mistake—or other more serious ones—obtain the compensation they deserve. Review our client references in our testimonials and start an online chat today to schedule a free, no-obligation consultation. 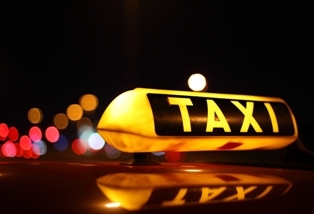 What Is the Statute of Limitations in My Taxi Accident Case?